Our company's journey as a Taco Bell Franchise family took root in 1983 with Taco Bell # 21 located in Scottsdale, Arizona. Taco Bell #21 (originally built in 1964) owned by our company's pioneering franchisee, Dennis Eardley, was the first Taco Bell restaurant built outside of the state of California. In 1990 Skip Chase, current Managing Franchisee Partner took a position with Eardley's Taco Bell franchise. At that time, the franchise consisted of nine Taco Bell locations. In 1991, stepping up to the position of Franchise Operations Manager, Skip guided the franchise in the expansion to sixteen locations throughout Arizona. In 1998, The decision to sell Eardley's sixteen Taco Bell restaurants was put into play. With an eye to the future, Skip made the life changing decision to become a franchise owner putting all his equity into Taco Bell # 3232 and that was the beginning of our Taco Bell family as we know it today. 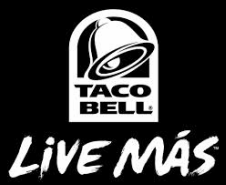 Consisting of twelve Taco Bell locations throughout Arizona, our restaurants are family owned and operated. Husband and wife, Skip and Nancy, preside over the family as Operating Franchisee Partners, assisted by Franchise Operator and Franchisee, Dennis Lechner and his wife, Franchisee, Marisol. Together with founding partner, Dennis Eardley, his wife, Franchisee, Anne, and Grace Lahr, Franchisee of our Cottonwood location, our franchise promotes a "take people with you" philosophy. We focus on our people, striving to reward their hard work and loyalty. Our people come to us for employment; they stay with us because they become part of the family.